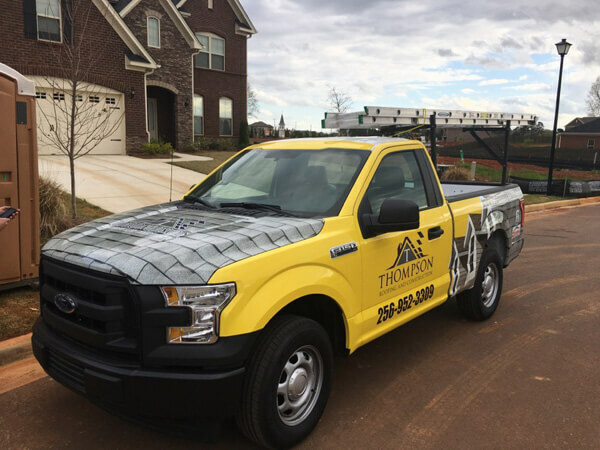 For nearly a decade, Thompson Roofing & Construction has been hard at work serving the roofing needs of Metro Huntsville and Southern Tennessee residents. We are an award-winning, full-service Huntsville, AL roofing contractor and a proudly family-run business. The company is owned and operated by Dustin Thompson, who was born and raised in Northern Alabama. His work in construction began in Auburn, where he worked on-site and learned the ropes of the industry firsthand. It was his exposure to the key aspects of the roofing and construction business that gave Dustin a solid foundation on which to build his company. He put together a team of highly qualified industry professionals, all of whom share his vision of providing “Quality Roofing at a Price You Can Afford” to local homeowners. Today, our company services thousands of clients within a 30-mile radius of our Madison headquarters. At Thompson Roofing and Construction, we emphasize quality and client satisfaction above all else. We’ve built a solid reputation and won our customers’ trust by offering premium products, impeccable workmanship, industry-leading warranties, and honest, dependable services that last for decades after our job is done. All this has earned us countless referrals and repeat business from satisfied clients as well as the respect of fellow home improvement contractors. We are also a proud recipient of the prestigious Best of HomeAdvisor Award for 2015. To give back to our community for years of loyal patronage, we offer affordable financing through GreenSky® and participate in No Roof Left Behind™, a nationwide program sponsored by GAF®. The program gives communities and local contractors the chance to rally behind neighbors who have fallen on hard times by providing new roofs at no cost. Our success is a testament to the value of personalized service and good, honest hard work, and our dedication to putting customer satisfaction before everything else. To learn more about our company and home improvement services, call (256) 952-3309 today. Our office is open from 7 AM to 7 PM, 7 days a week. You can also use the form on the right side of our website to request a free estimate on your next project.